In 1867 Thomas Hanbury bought the charming family farm Orengo, located at La Mortola, and began collecting exotic plants and native species. The property had an enormous wealth of microclimates derived from diversity of exposure to light and winds from different steepness of the terrain and different moisture conditions. So between the sea and the ancient Roman road over the old olive trees were placed after the grounds, the garden and the rose garden, sheltered by the salt from a wall renovated. The Australian forest was placed on the slope above the Roman road, while in the villa were cultivated citrus. To the west and east were treated species of the Mediterranean. Along the Rio Sorba species were placed in a humid environment. On the death of Thomas Hanbury, which occurred in 1907, the gardens were a beautiful and fruitful reality . The period of the First World War marked an era of decay. But after the war the firstborn of Thomas, Cecil, he took on a massive renovation work, maintenance, reorganization, restoration, enrichment of the housing, breeding, scientific, historical and artistic. His wife, Lady Dorothy, dedicated himself with passion and skill, using the help of his father, renowned landscape architect, and his brother, known for his designs of rock gardens. The restructuring period with the creation of panoramic views, paths, walkways, fountains extended until the thirties of ‘900. Also resumed relations with many gardens and botanical gardens around the world. The exchange of specimens and seeds, enrichment with new species from Mexico, Chile, South Africa and India, reported the Gardens to a brilliant and unique wealth. During the Second World War Gardens, occupied first by the Italian troops and those in Germany, suffered serious damage. The property was bombed, looted, then abandoned. In 1945, Dorothy was able to return and undertake the work of reconstruction. 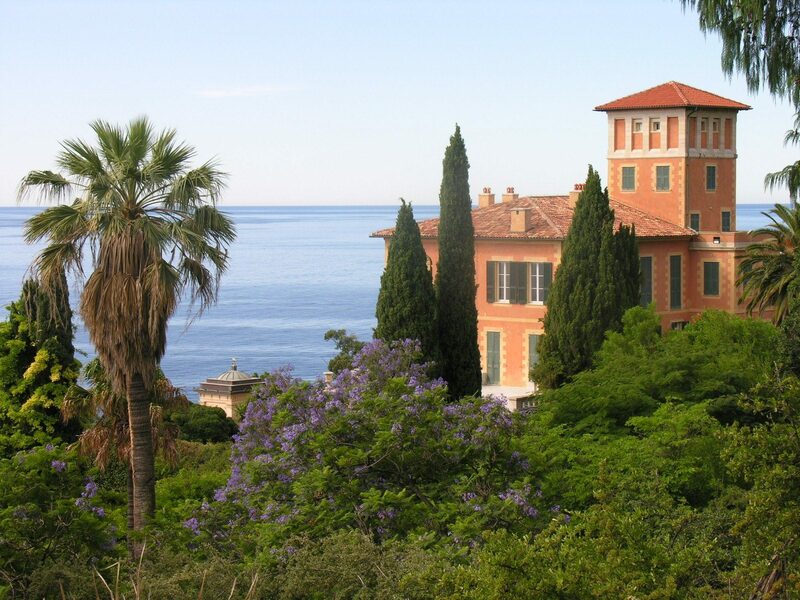 Thanks to the intervention of the Institute of Ligurian Studies, Lady Dorothy in 1960, sold to the Italian State of the complex Mortola. The 80s marked a period of reorganization of the Gardens and new interventions to renovate the property. Today the Hanbury Botanical Gardens are living a period of lively activities thanks to numerous projects that are bringing the complex to the splendor and architectural landscape 800 and a value of scientific activities and international level.